Review Summary: On the whole LAL SALAAM holds appeal for lovers of realistic cinema. On the whole LAL SALAAM holds appeal for lovers of realistic cinema. 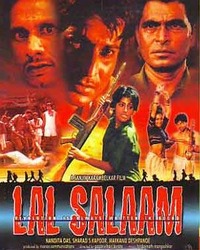 Lal Salaam is believed to be based on true incidents of tribal exploitation which forced some of them to start a revolution of sorts. It's all about the revolution.